This Harley is a result of another fantastic collaboration with Zelu1984. Around the time I worked up Ivy’s kitchen playset, he and I agreed to each make a Harley and Ivy to populate it, as seen in the episode “Harley and Ivy.” As he’s the BTAS Poison Ivy expert, he took on those duties, and I cooked up Harleen. 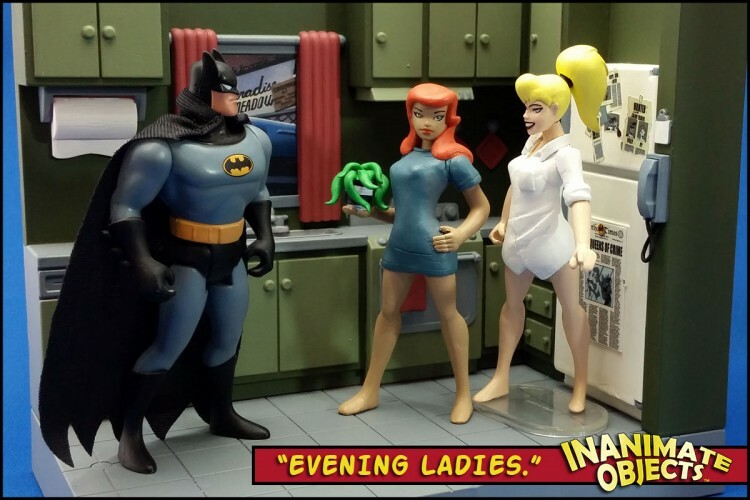 Now Ivy’s kitchen is complete! Thank you Zelu1984! 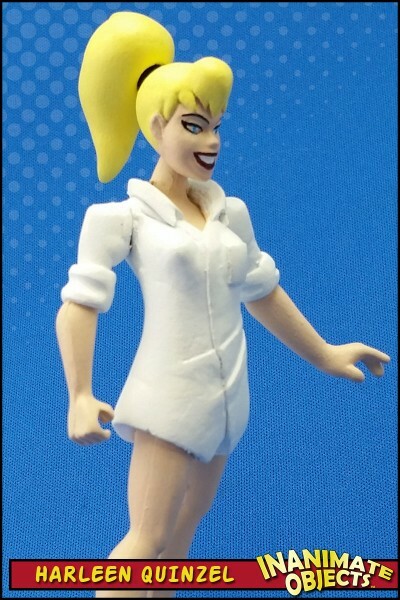 Harleen’s body is built on the final (and lousy) Batgirl Hasbro produced. 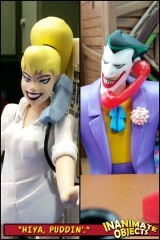 Zelu1984 convinced me it still had value, and he was right. I swapped out the arms from the parts box, and the shirt is sculpted from Super Sculpey and/or MagicSculpt. 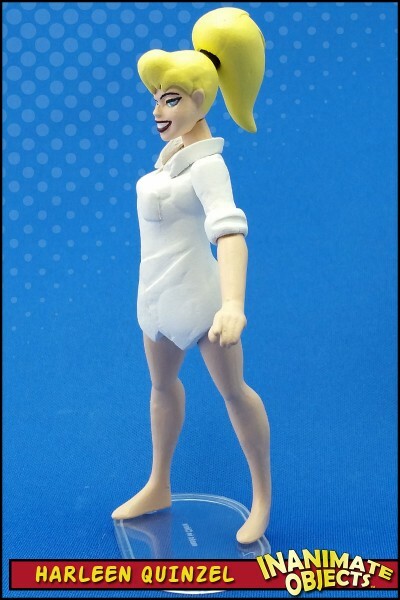 The head is my usual Harleen noggin, with a new ponytail added. woo hoo! 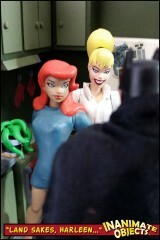 can’t have enough harleys (animated version, of course)! 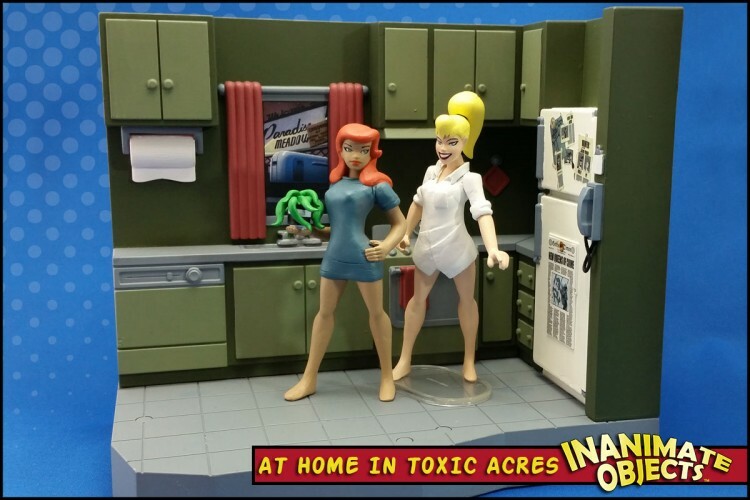 Love the Toxic acres playset!